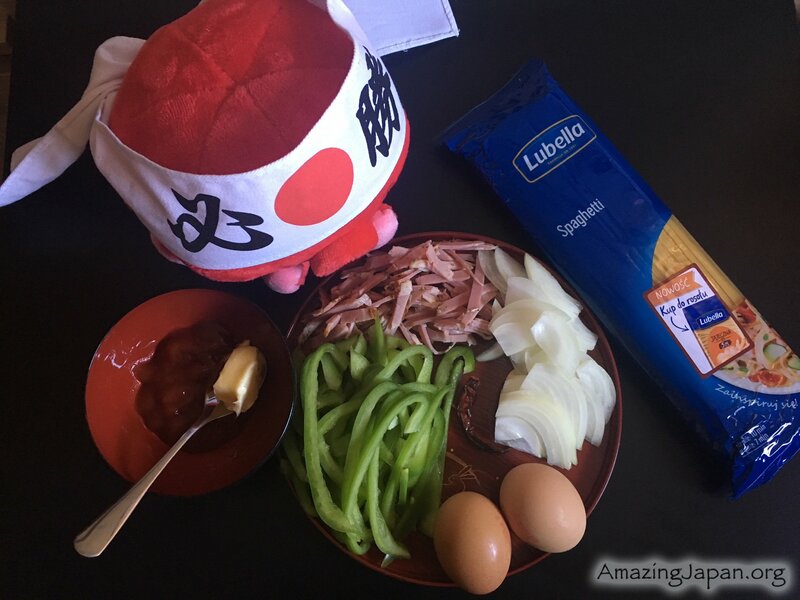 Yesterday I wrote about Yoshoku and today I want to present you an example dish: Spaghetti Napolitan. 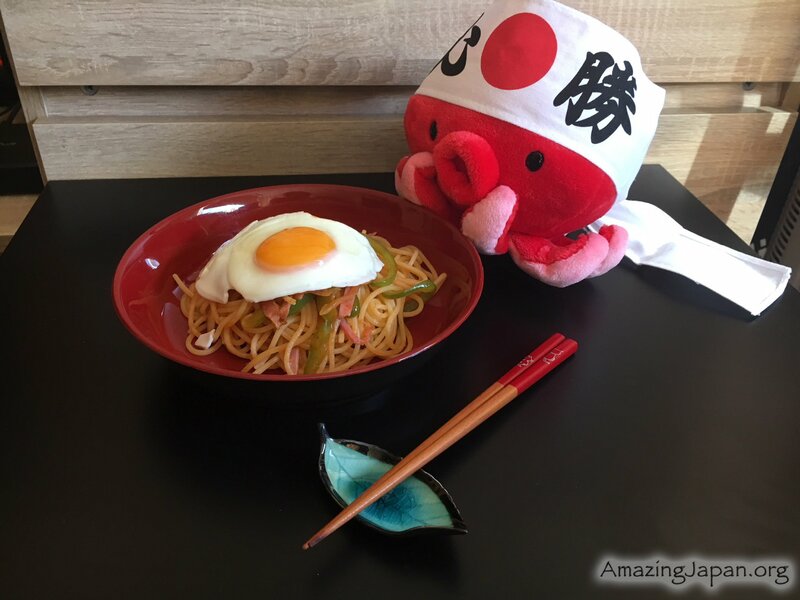 This is the first recipe from series of posts “Cook with Tako!” From time to time I will be publishing recipes, and the theme will be Tako, kawaii octopus from Hiroshima. 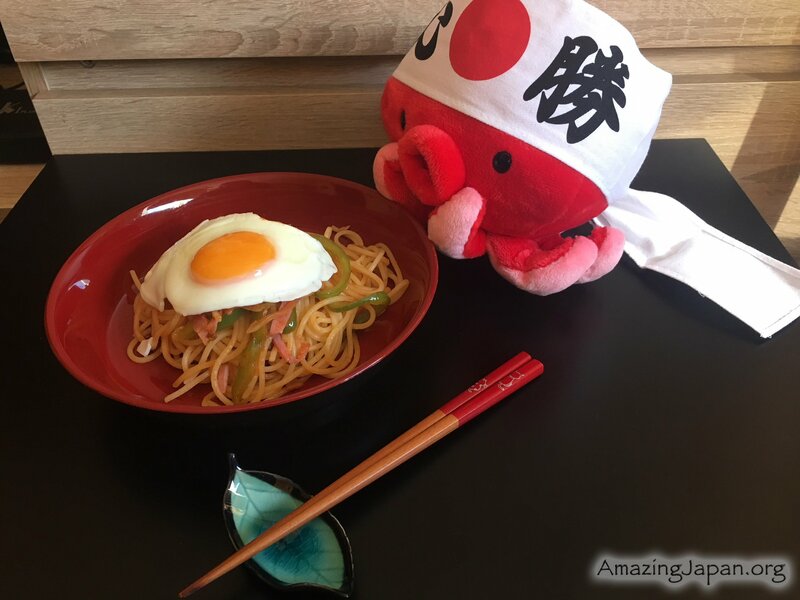 Yoshoku are Japanese dishes influenced by western style of cooking. 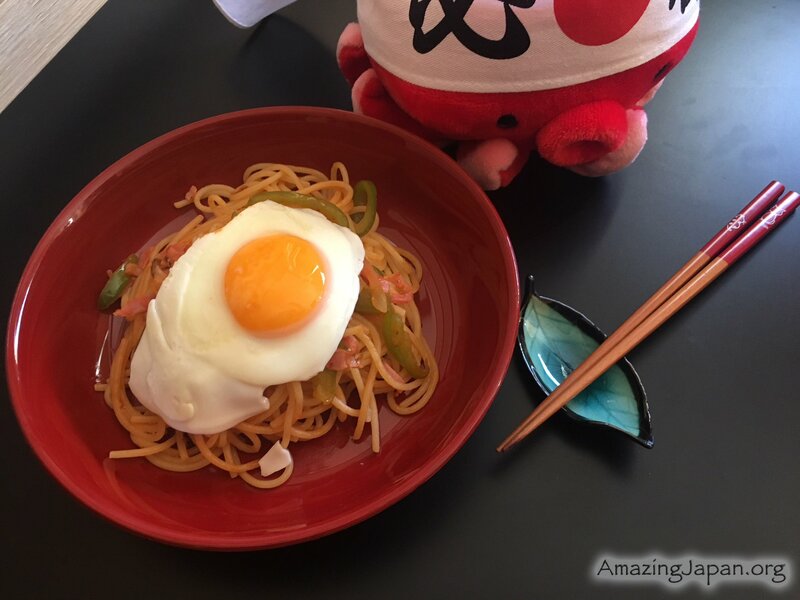 Spaghetti Napolitan is very easy and quick recipe. It’s loved by adults but especially by kids, because it uses 2 ingredients, that children love – wiener sausages and ketchup. 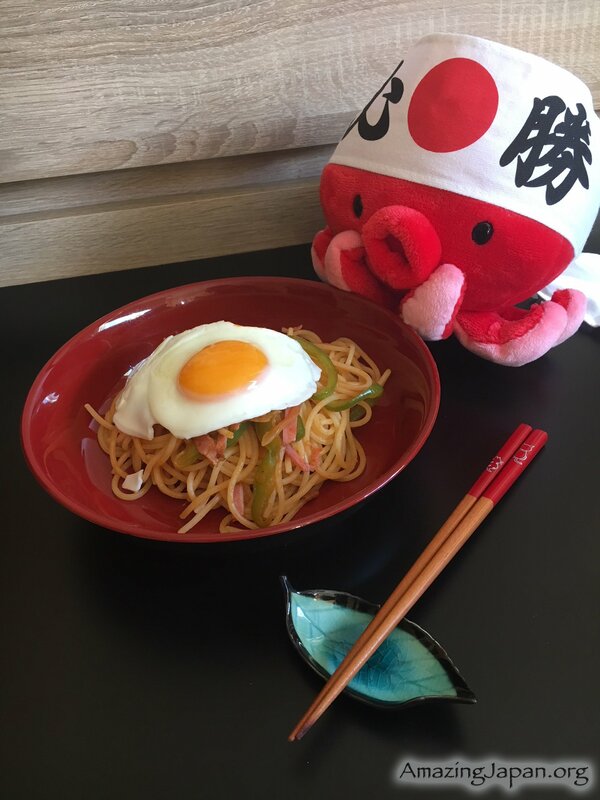 Ketchup is a main ingredient, it gives a special taste to spaghetti. You can replace sausages with bacon, I usually do this. This is the perfect dish if we only have 10 minutes to prepare dinner. It can also be prepare in vegetarian or vegan version. 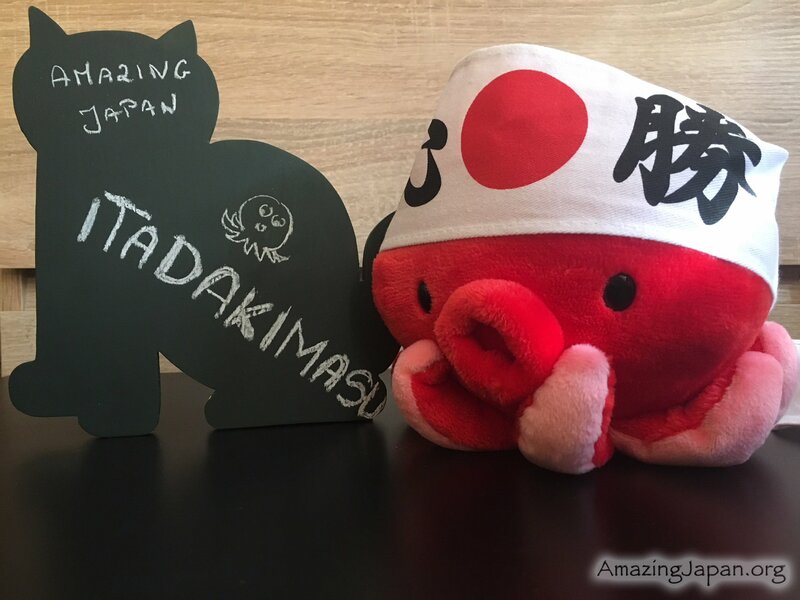 Tako’s Tips: you can replace eggs with grated Parmesan or seaweed ao-nori. Cook water for pasta and prepare the ingredients: slice thinly bacon, onion and bell pepper. On a pan add butter, onion, pork belly and bell pepper, and stir fry on medium heat. 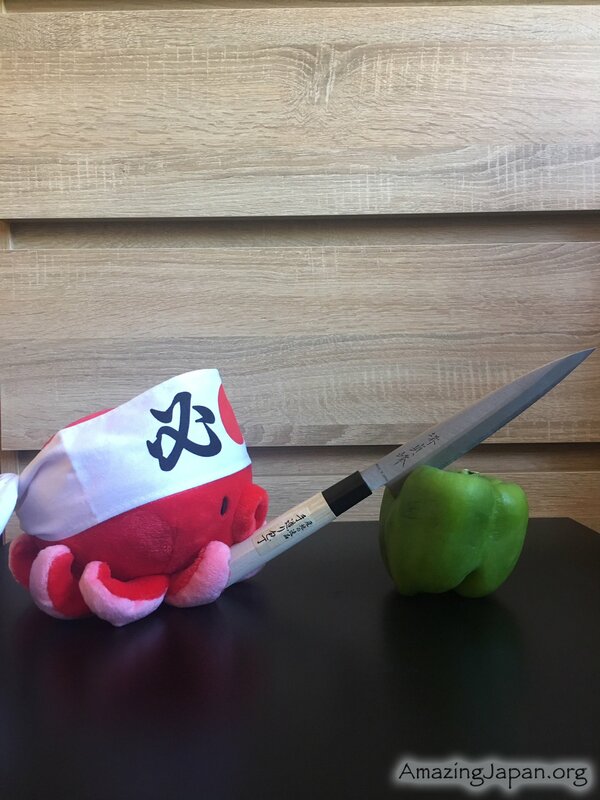 When the vegetables are soft, add salt, ketchup, chilli, sugar, and stir a minute. Fry eggs on another pan. Add cooked pasta to the pan with bacon and vegetables, and toss to coat. 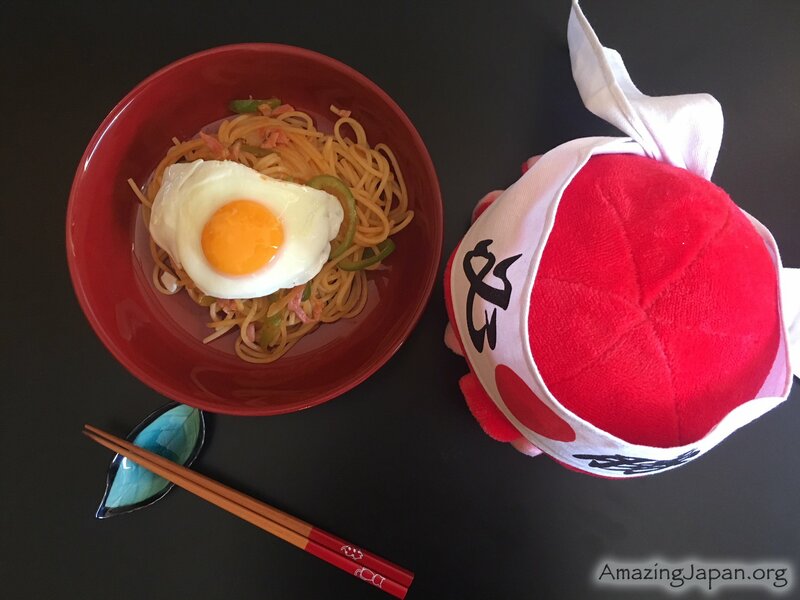 Transfer to a plate and top with fried egg. Spaghetti Napolitan is ready!